OnScreen Particle Physics™ "Reminder" windows are always only a menu selection away for on-screen help. 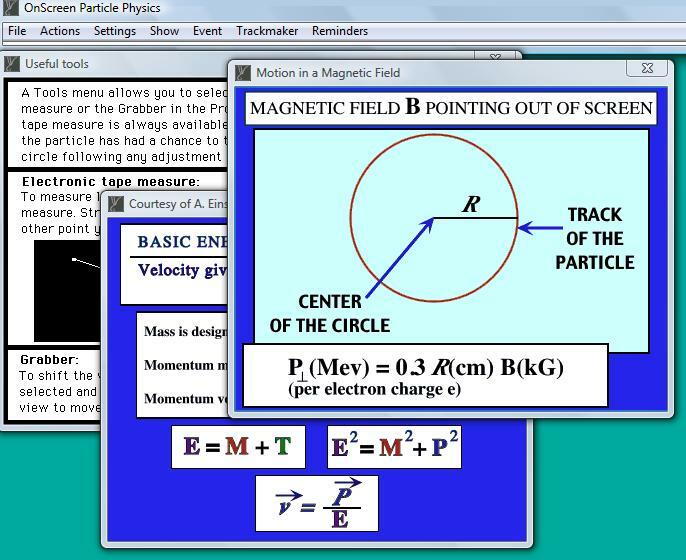 Necessary relativistic equations (in energy units) are available on screen, as are instructions on how to use the interactive tape measure available in the projection view and the Trackmaker simulation. The front-most window indicates the measurement and calculations that need to be done to turn a particle track into a momentum measurement.